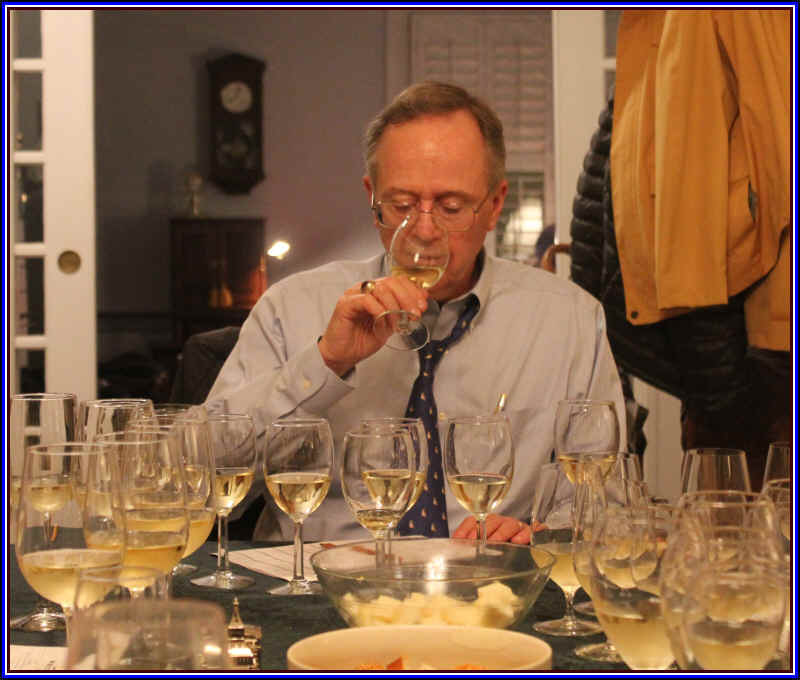 French White Burgundy was the theme for our November Vino Fino tasting...and we assembled a set of entry-level priced ($25-$45) bottles in hopes of finding a gem. 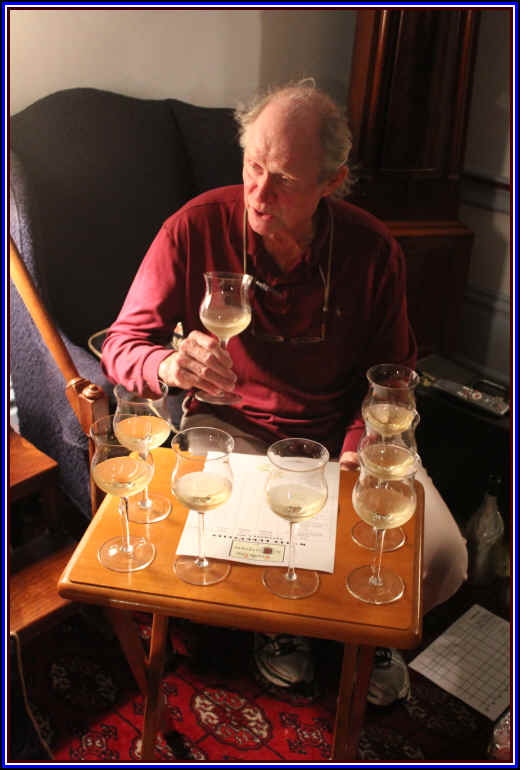 There were no flawed bottles in the line-up and a number of tasters were unfamiliar with the style of these wines, since unlike so many California Chardonnays, these were not heavily-oaked or big, bombastic wines. 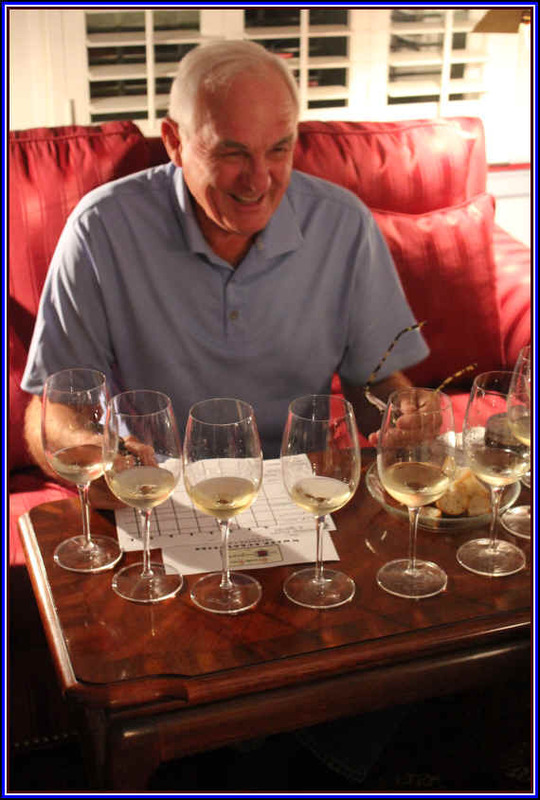 Vino Fino stalwart Allan Anderson pointed out that only the wines in the first four spots of the ranking received "first place" votes, while the two top finishers received no last place rankings. Interestingly, the least costly bottle in the tasting received the most first place votes (but no second place rankings), with the most expensive wine finishing in first place (another rarity). 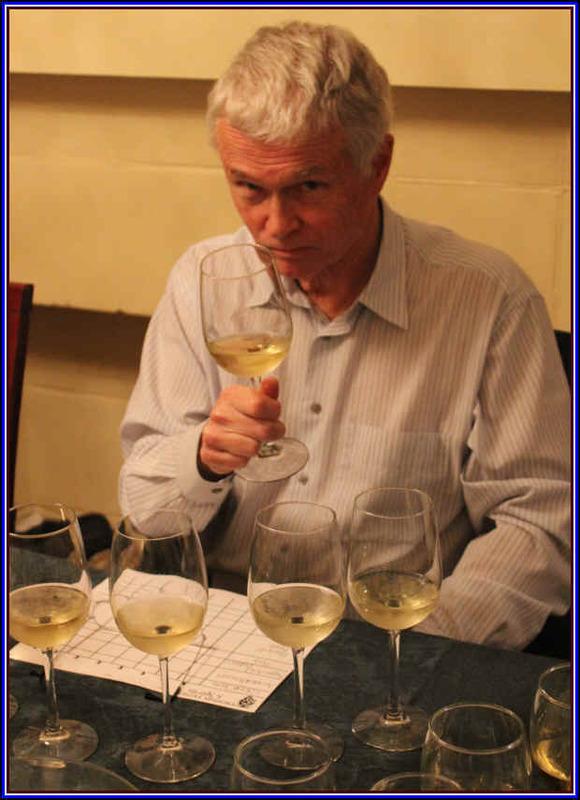 We picked wines in current distribution and predominantly from smaller growers. Yet the large commercial estate, Ch�teau de Meursault, finished in first place. 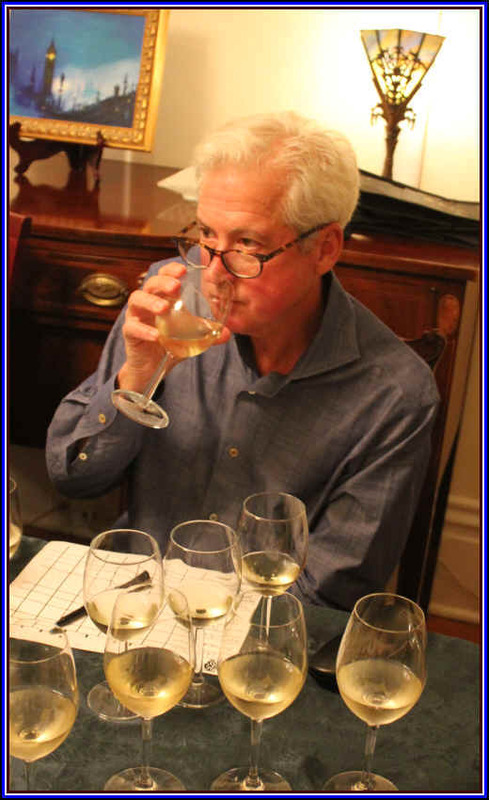 8th Place: JEAN-MARC MOREY 2013 Santenay Blanc "Les Corni�res"
Clear in appearance and medium+ straw in color, there was a light apple note to the nose of this wine with a suggestion of a spice tone. It's dry and crisp. Light to medium-bodied. There's a bit of 'grip' to the wine on the palate and I detected a flowery, almost tea-like quality here. I gave it a half-star rating on my three star scale, no stars being a standard, ordinary wine. Light straw in color and clear in appearance, Pillot's entry-level wine offered a light apple fragrance and was simply a good, 'standard' example of basic French white Burgundy. Dry and crisp, light bodied and a bit shallow on the palate...it's perfectly drinkable, though the wine is not exciting. One half star rating. Clear in appearance and having a straw color, this was, for me, a classic, textbook example of Bourgogne Blanc. The nose had lovely apple-like fruit and touch of a brioche-like quality...maybe a hint of wood, too, but only a hint. It's dry and has crisp acidity, being medium+ bodied. The wine has all one can hope for in an entry-level Bourgogne Blanc...apples, mildly creamy notes and nice length...very good! Straw in color and clear in appearance, I detected a mildly metallic note on the nose of this wine which was not to my liking. There is a light note of apple-like fruit here in this dry, crisp and light-bodied wine. On the palate it's of standard character...perfectly drinkable but without any special character. One half star. Clear in appearance and light straw in color, this wine had a classic fragrance of Chardonnay from Burgundy...nice, appley fruit and a touch of oak...very elegant. Dry and crisp, with light+ body. 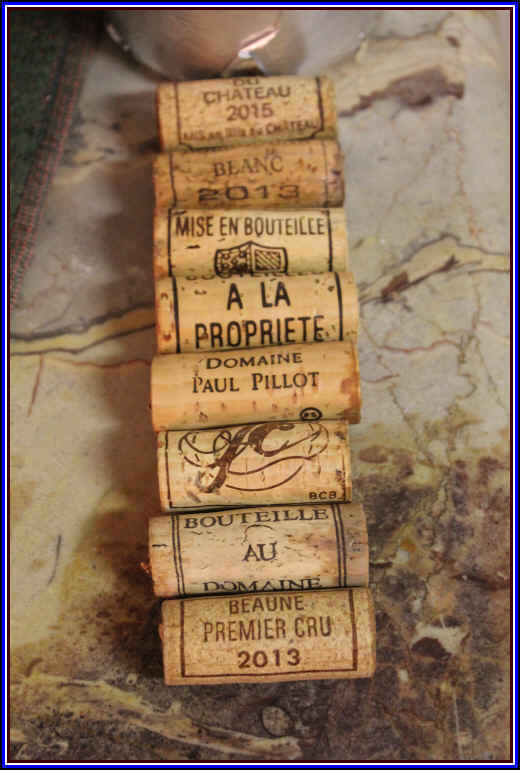 The flavors echo the elements on the nose...despite being of "premier cru" status (it's a blend of wines from four 1er cru sites in the Beaune appellation), the wine was not more complex at this stage than others. It's a solid white Burgundy, though. One star. Medium- straw in color and clear in appearance, this wine shows classic Burgundian winemaking, as there's a mildly leesy note from the wine and a touch of wood. 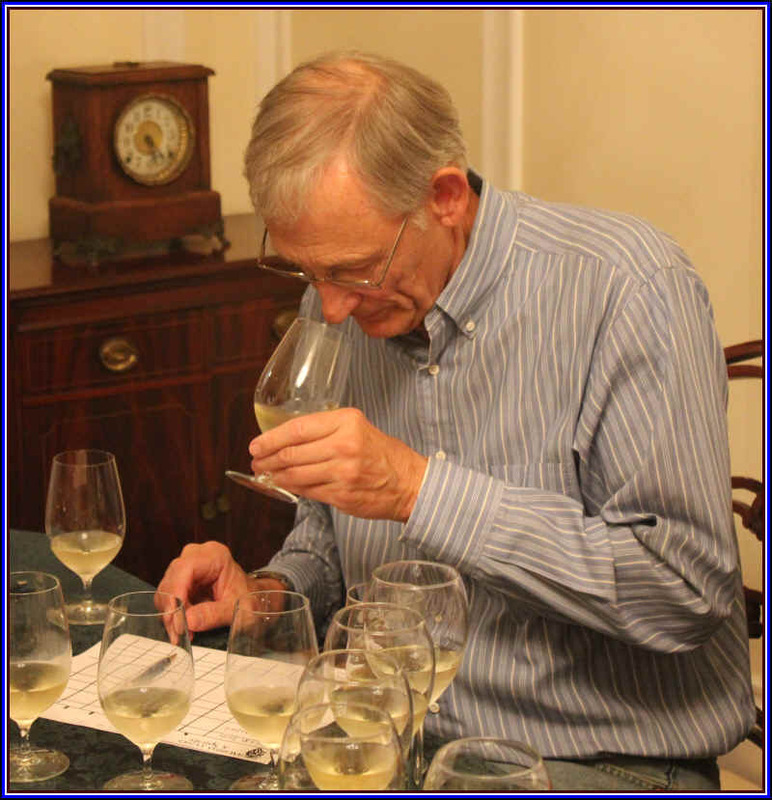 The nose is more complex than most of the others in this tasting. It's dry and has crisp acidity...medium-bodied. Toasty and creamy on the palate...lengthy, too. Bravo! One and a half stars+. Clear in appearance and straw in color, this was yet another classic entry-level white Burgundy. 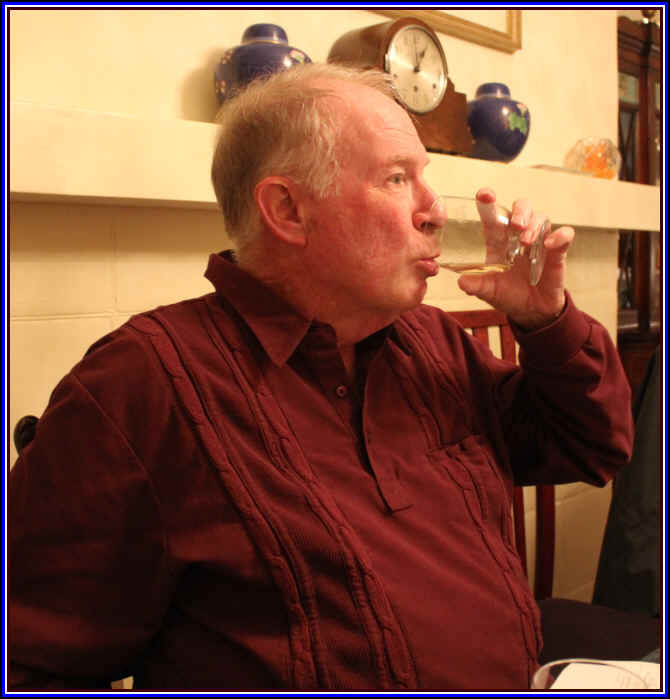 The nose displays apple-like fruit and a touch of a stony, minerally quality. Dry, crisp, medium-bodied and typical flavors with Granny Smith apple notes on the palate. Tart, dry and good quality. One star.